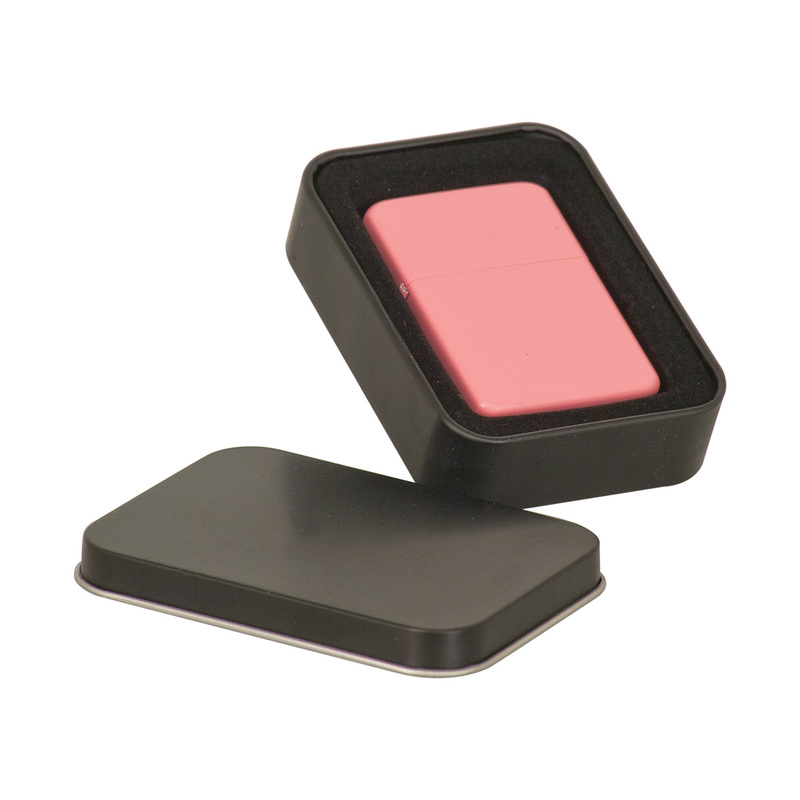 Matte Pink Lighter in Black Tin. The price includes a laser engrave on the lighter. The tin can be laser engraved for an additional charge. Lighter is made of brass; tin is made of tin. Lighter fluid is not included with the lighter. The lighter is refillable. The tin dimensions are 2.25" x 3.25". Individually Packaged. Laser engraved leaving a silver imprint. This is laser engraved with a silver imprint. Imprint area is 1 1/4" x 1 1/4" on the front side for lighter. Imprint Area for tin (Optional and additional charge) 2" x 2 7/8"